Ribatejo is a Portuguese wine region crossed by the biggest portuguese river (Tejo river), who gave the regions name. 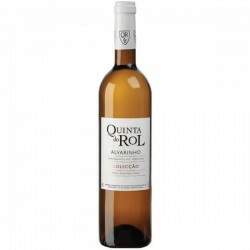 The entire region is entitled to use the Vinho Regional designation of Tejo VR, and some areas are classified at the highest Denominação de Origem Controlada (DOC) under dthe designation of Ribatejo DOC. Ribatejo region is located between Lisbon and Alentejo VR, and the Tejo river plays an important role of influencing the winery region who moderates the region’s climate, making it more temperate than other regions of Portugal. Vineyards are planted in a fertile alluvial soil along the river, making the wine more rich and with a unique flavor. Ribatejo region changed name in 2009 to Tejo to increase the wine regions international reputation. Thre are six subregions of Tejo entitled to the Ribatejo DOC, and the principal grapes of the Tejo region includes Arinto, Cabernet Sauvignon, Camarate, Carignan, Chardonnay, Esgana Cao, Fernao Pires, Jampal, Malvasia Fina, Malvasia Rei, Merlot, Periquita, Pinot noir, Rabo de Ovelha, Sauvignon blanc, Syrah, Tamarez, Tinta Amarela, Tinta Muida, Touriga Nacional, Trincadeira das Pratas, Ugni blanc and Vital. The red wine production involves picking the grapes by hand or machine, destemming and crushing, involving the mixture of individual berries, whole bunches, stems, and leaves, originating the must. The must is pumped to a vessel, or a tank made of stainless steel, or an oak vat, for fermentation. With the purpose to prevent oxidation, it is added Sulphur Dioxide when the grapes arrive at the winery, and some winemakers prefer to chill the must to around 10°C (50°F), to allow a period of pre-fermentation maceration ("cold soaking"), of between one and four days. The inoculation and fermentation process to start the alcoholic fermentation, in which sugars present in the must are converted into alcohol with carbon dioxide and heat as by-products. After this process, occurs the separation of solid and liquid phases, where skins float to the surface, forming a cap. Fermentation produces heat and it needs to be controlled by different refrigeration systems to prowl the temperature of 25-28°C; 77-82.4°F. The density and temperature of the fermentation is checked once or twice per day, with the objective to be proportional to the sugar content, falling each day as the sugar is converted into alcohol. A second microbiological transformation commonly takes place after the alcoholic fermentation of red wines, and the red wine is usually racked (decanted) off its lees (dead yeast cells and other solids). Most red wine is aged in stainless-steel or concrete tanks, or in small or large oak barrels for some period before bottling, though this can vary from a few days, up to 18 months or more. Finally the red wine pass through undergo fining, which is designed to clarify the wine and sometimes to correct faults such as excess tannin, and then are filtered to eliminate any remaining yeast cells and bacteria, and then bottled. Ribatejo RED Wine There are 50 products. Colorful purple. 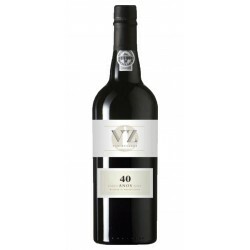 Intense violet and ripe currant aromas from the Touriga Nacional matched with typical Cabernet Sauvignon spices and the complexity given by aging oak. 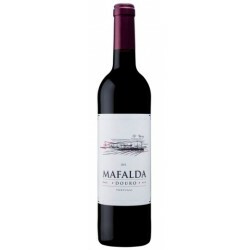 Balanced, round and persistent in the body, confirming floral berries and ripe tips. Intense and very persistent. Floral, where violets and black fruits like raspberry and blackberry stand out. It has a balanced body, round, confirming the notes of black fruits. Color purple. Intense aroma of ripe gooseberry with Cabernet's own spices. Balanced and round body with persistent intense finish. 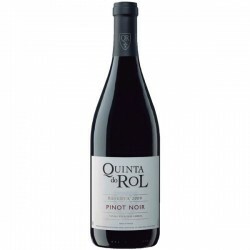 Attractive and rich dominated by the wild berries and the vanilla and spiced character of the French oak. 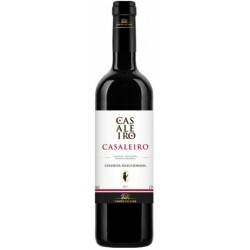 Despite the firm tannins which gives it a unique structure, the mouth sports a silky texture. Produtor: Pinhal da Torre Enogo: Russell Burns?